If you’re like many Prevention readers, multivitamins have been a key part of your daily routine since… well, forever. As recently as 2002, no less an authority than the Journal of the American Medical Association recommended that “all adults take one multivitamin daily.” We at Prevention have suggested them to you dozens of times over the years as well. And many doctors and nutritionists still urge a multivitamin to any “less-than-perfect eater” to compensate for dietary shortfalls. But today, a tsunami of scientific data has resulted in a reversal in thinking among many experts in the health and nutrition community, including Miriam Nelson, PhD, director of the John Hancock Research Center on Physical Activity, Nutrition, and Obesity at Tufts University. “The multivitamin as insurance policy is an old wives’ tale, and we need to debunk it,” she says. The sea change is supported by two massive studies. The first, a review of 63 randomized, controlled trials (the gold standard research method) on multivitamins, published by the Agency for Healthcare Research and Quality, found that multis did nothing to prevent cancer or heart disease in most populations (the exception being developing countries where nutritional deficiencies are widespread). In the second paper, published last year, scientists at the Fred Hutchinson Cancer Research Center followed 160,000 postmenopausal women for about 10 years. The researchers’ conclusion: “Multivitamins failed to prevent cancer, heart disease, and all causes of death for all women. Whether the women were healthy eaters or ate very few fruits and vegetables, the results were the same,” says the lead author, Marian Neuhouser, PhD. Maybe you never expected your multi to prevent breast cancer or head off a heart attack. Maybe you just felt that taking one would make you healthier by boosting your immunity or energy level. But research on those benefits is equally discouraging, especially in specialized groups on which you’d expect them to have an impact. For instance, a British review of eight studies found no evidence that multis reduced infections in older adults. Another study found that the vitamins didn’t improve fatigue among breast cancer patients undergoing radiation therapy. And inner-city schoolchildren who took a multi did not perform any better on tests or have fewer sick days than students who didn’t take one. It still shocks people that the FDA doesn’t regulate supplements, including vitamins, minerals, and herbs, the same way it does for drugs. Supplements don’t have to go through any safety testing before they hit stores. Despite 2007 legislation that marginally increased the FDA’s authority, health and safety critics say the FDA doesn’t have enough resources to oversee the industry. Some new bills proposed in Congress would give the FDA more oversight and enforcement muscle, but in the meantime, these aisles are truly buyer beware zones. Protect yourself: Choose products with seals from quality-testing companies like United States Pharmacopeia (USP) or NSF. Supplement companies pay to have their products evaluated according to these more rigorous protocols, which check for contaminants and ensure products contain exactly what their labels say. You can also subscribe to ConsumerLab.com, an independent testing organization, for reports on specific supplement groups, like omega-3s. Finally, don’t take any supplements without talking with your doctor. Many interact with medications or can worsen health conditions. So why were earlier researchers so wrong? One reason is that they were studying the wrong people. It’s now well known that people who take vitamins tend to be some of the planet’s healthiest to begin with. 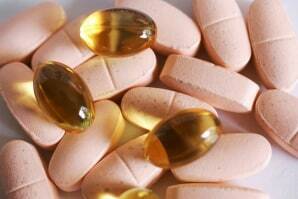 Researchers have shown that vitamin takers tend to be leaner, more affluent, and more educated. They drink and smoke less; they exercise and go to the doctor more. In other words, they’re healthy despite their use of multis. 12 Myths about breast cancer you should ignore. In addition, the very concept of a multivitamin as nutrient delivery system is limited. We now have a much better understanding of how well whole foods deliver their nutritional benefits. A typical multi contains 10 to 25 isolated nutrients, but fruits and vegetables have hundreds of active compounds with a long list of health properties. “The vitamin C in a multivitamin is likely just not as effective as the vitamin C in a citrus fruit, where it’s also surrounded by fiber and flavonoids and carotenoids. All these nutrients working together is what really keeps you healthy,” explains Dr. Neuhouser. So even when you’re not eating the healthiest diet, there’s no proof that a multivitamin is the right tool to fill in the gaps. “And it doesn’t make up for the main disease-fighting nutrients the average American woman is missing, like fiber, omega-3s, and vitamin D,” says Dr. Katz. 9 Foods that help boost your immune system. For his part, Dr. Katz no longer recommends multis to most of his patients, nor does he take them himself. Neither does Kathleen Fairfield, MD, associate chief of medicine at Maine Medical Center and coauthor of the 2002 JAMA article that recommended multivitamins as a prudent health measure. Many Prevention advisors who specialize in cancer or nutrition research recently told us they’ve stopped taking and recommending multis as well. So should you quit cold turkey? It’s true that the average American woman—whether a healthy eater or not—probably won’t benefit from a multivitamin. But the supplements are still recommended for certain groups, based on eating habits or lifestyle. And most women do still need a few strategic supplements to make up for certain dietary gaps. To help with your decision, Prevention interviewed more than 10 nutritionists, doctors, and supplement experts and examined USDA, FDA, and other government data. The chart below reveals how their advice applies to you. Vitamin D: Up to 800-1,000 IU daily (less if you live in a year-round warm climate and get 15 minutes of unblocked sun every day). Get it from a separate pill or with calcium. Omega-3: Up to 1,000 mg daily if you don’t reliably eat fish such as salmon 2 or 3 times a week. Calcium: Up to 1,000 mg total from food and supplements. If you don’t eat 3 servings of milk/dairy, take the equivalent in a supplement that contains vitamin D.
12 Minor changes that can boost your health instantly. No. But adults over 50 may absorb less of certain nutrients, such as vitamin B12, from food. If you don’t eat a lot of dairy or meat, talk with your doctor about B12 supplements. Omega-3: Up to 1,000 mg daily if you don’t reliably eat fish like salmon 2 or 3 times a week. Calcium: Up to 1,200 mg total from food and supplements. If you don’t eat 3 servings of milk/dairy, take the equivalent in a supplement that contains vitamin D.
Vitamin B12: 25-50 mcg if your doctor recommends it. The best supplements for women. Yes. During pregnancy, requirements increase slightly for a number of nutrients, including vitamin C, folic acid and other B vitamins, and iron. Choose a prenatal formula with at least 600 mcg folic acid and 27 mg iron, or ask your doctor to prescribe one. Same as #1 if you’re 50 or younger; same as #2 if you’re 51 or older. Eat the meat equivalent in beans, legumes, and nuts. No. As long as you eat dairy and plant-based protein and leafy greens, you’re getting a wide variety of nutrients. If not, ask your doctor whether a multi is recommended. Same as #1 or #2 depending on your age. Buy a plant-based omega-3 supplement. Same as #4. Milk/dairy servings convert to plant-based fortified milks. Yes. It can be challenging to get nutrients such as vitamin B12, calcium, and iron from a vegan diet. Vitamin D: Up to 800-1,000 IU daily, including the amount in your multi. Get the rest from a pill with calcium, below. Omega-3: Up to 1,000 mg daily. Buy a plant-based omega-3 supplement. Calcium: Up to 1,000-1,200 mg total (depending on your age) from food and supplements, including the amount in your multi and in a combined D supplement. Yes. Such a restrictive diet makes it difficult to get optimal vitamin and mineral levels. Same as #1 if you’re 50 or younger; same as #2 if you’re 51 or older. Really work on those dairy servings. No. Omega-3: Up to 1,000 mg daily if you don’t reliably eat fish like salmon 2 or 3 times a week. Calcium/vitamin D: Ask your doctor about the right dosage for you. Some women with osteopenia or osteoporosis may require superhigh levels of vitamin D.
Copyright© 2010 Rodale Inc.All rights reserved. No reproduction, transmission or display is permitted without the written permissions of Rodale Inc.